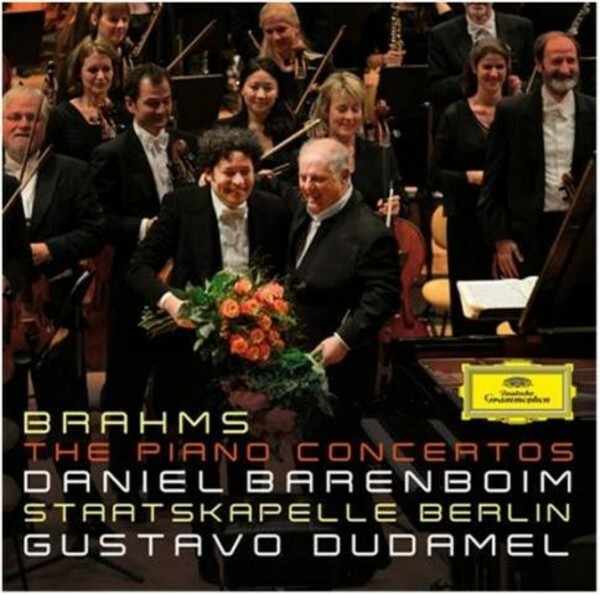 This album was recorded live at the Berliner Philharmonie in September 2014, with high critical acclaim of the performances. What makes them a �dream couple� is not only the common South American roots of both artists, but also the precise and energetic playing of Daniel Barenboim and the �volcanic� temperament of Gustavo Dudamel. Barenboim himself has a very high opinion of Dudamel which he expressed after one of the concerts: �Whenever I had to play myself, I was able to count on him completely. And when I didn�t have to play, it was a joy to see how well he works with the orchestra. I�m well placed to make this observation as I�ve been playing these concertos since 1958�. After his successful album together with Yuja Wang, this is Dudamel�s second recording as conductor with a soloist. The second Piano Concerto, with its four movements, is one of the longest and most demanding concertos ever written, and the final Allegretto grazioso features one of the most carefree movements that Brahms ever wrote and which is also notable � in Alfred Brendel�s words � for its �unsurpassable pianistic perversions�.